All American Trucking and Transport, Inc. has secured a Freight Broker Surety Bond to protect our customers. This bond acts as a guarantee that all contracts will be carried out in accordance with Section 387.307 of Title 49 of the Code of Federal Regulations. The freight broker bond serves as an assurance that federal regulations will be followed and that shippers and carriers will be paid in a timely manner. If this is not the case, the bond company will step in to ensure the customer suffers no losses. In addition to federal regulatory compliance, All American Trucking and Transport, Inc. has qualified for our surety provider’s Elite Bonding Program through an in-depth risk analysis. Achieved by only a small number of U. S. businesses, this standing endorses our company as low risk and safe to do business with. 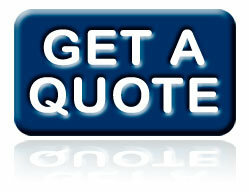 The insurance company who backs our bond is guaranteeing payment to our customers. We too have committed our assets through an indemnification agreement with the insurance company to ensure all contracts are satisfied. Please click here to read more about what a surety bond is and how it protects you.